Yasmani Grandal, who most considered the top catcher on the free agent market this winter, has found a new home. The longtime Dodgers has reportedly reached an agreement with the Milwaukee Brewers. The sides have agreed to a one-year deal worth $18.25 million, which is far less than Grandal imagined getting at the start of the offseason. On the surface, Grandal appears to have overplayed his hand. He initially turned down a $17.9 million qualifying offer from the Dodgers so he could pursue a long-term deal. Grandal reportedly turned down a four-year offer from the Mets worth over $50 million, believing he was worth more. However, rather than bid against themselves, the Mets moved on and signed Wilson Ramos to a two-year deal. With no other teams willing to give him a long-term contract, Grandal ultimately settled for a one-year deal worth just over the amount he could have gotten with the qualifying offer. 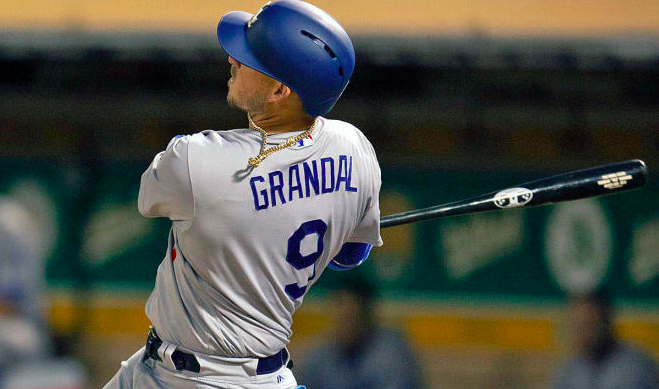 Of course, Grandal didn’t do himself many favors late in the 2018 season. Defensive struggles during the postseason caused him to sit in favor of Austin Barnes more times than not as the Dodgers made their way to the World Series. Such a high-profile benching surely hurt Grandal’s value on the open market despite the fact that he’s one of the best offensive catchers in baseball. Grandal has hit at least 22 home runs in three consecutive seasons. He also posted an OPS of .815 in 2018, leaving little doubt that he’s capable of making a significant impact with his bat. The Brewers are banking on Grandal being a difference maker this season as they look to take the next step after losing to Grandal and the Dodgers in the NLCS last season. Despite plenty of offensive prowess in their lineup, the Brewers got limited productivity from catchers Manny Pina and Erik Kratz last year. Both are defense-oriented catchers and may be left battling for one roster spot during spring training with Grandal the obvious choice to be Milwaukee’s primary catcher. To be fair, Grandal does provide value on the defensive side of the ball. He ranks as one of the best catchers in baseball at framing pitches. He’s also started at least 100 games behind the plate in four straight seasons, so he brings plenty of experience to the table. However, Grandal has also given up the most pass balls in baseball over the past four seasons. Clearly, that’s a problem that isn’t going away anytime soon, forcing the Brewers to take the good with the bad when it comes to their new catcher. Milwaukee actually stretched the team’s budget a little in order to sign Grandal. However, they apparently feel it’s worthwhile to add another big bat to an already strong lineup. Grandal gives the Brewers a productive switch-hitter in the middle of a lineup that also includes Lorenzo Cain, Travis Shaw, Ryan Braun, Jesus Aguilar, and MVP Christian Yelich. Whether Grandal’s defensive shortcomings will hurt the Brewers remains to be seen. However, there is no doubt that one of the best lineups in baseball just got even better.